If you are like me, you’re always trying to maximize the amount of airline miles you earn whether its flying, staying in a hotel, renting a car or using a credit card. In this post, we’ll share some of the best Delta Credit Cards and best reward Credit Cards to use when you book a Delta flight. Note that each of these cards also has a Business version available. So if you are a small business owner, you can get the business and the personal versions of these Delta Credit Cards. For every dollar spent on Delta purchases, each of the Delta cards will earn 2x miles per dollar. For all other purchases, the best Delta Credit Cards will earn 1x miles per dollar. This benefits doesn’t excite me because I can always earn 3x miles per dollar with the American Express® Premier Rewards Gold Card. 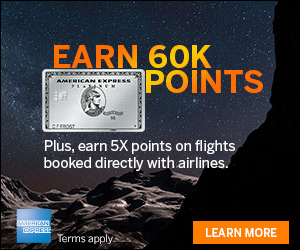 So if you are looking to maximize miles / points earned per dollar spent on airfare, the American Express® Premier Rewards Gold Card card is better for those purposes. The actual highest earning point card for purchasing a Delta Airlines ticket is not actually one of the Delta Credit Cards outlined above. Those only earn 2x miles per dollar. In fact, the best card isn’t even an airline specific card, it’s better because is what I call a flexible rewards point program, which is the American Express Membership Rewards Program. The good thing about the Premier Rewards Gold Card is that it earns 3x points on airfare purchased directly from airlines, and NOT just Delta. 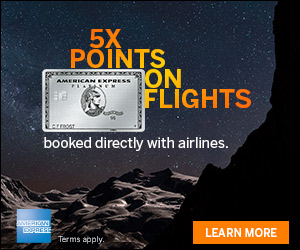 So that means if you fly on American Airlines one week, you’ll earn 3x points per dollar if you purchase directly from American. Then if you fly with Delta the following week, you’ll earn 3x points per dollar if you purchased directly from Delta. Those points will be in your Membership Rewards account, together. 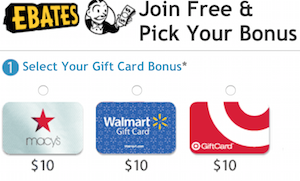 So if you find yourself flying multiple airlines, using the Premier Rewards Gold Card is a great way to consolidate earning points into one program. What do you do with your American Express Reward Program point? It’s simple, you can book travel directly from American Express and get a 20% point bonus back into your account by redeeming your points for travel booked through American Express travel portal (see my detailed step by step review here on the pay with points option). Or you can transfer the points directly to the airline program of your choice from their many partner airlines. First you will link your loyalty accounts to your Membership Rewards Account from American Express (see my detailed step by step process here). Then you’ll want to transfer your Membership Rewards points from your American Express account into the airline of your choice (see my detailed step by step process here). Once you have your miles into your airline account, you can book a reward flight as usual. If you are looking to maximize earning points and miles with flying Delta Airlines, make sure you chose the right card to earn the most points or miles when you purchase and fly with Delta Airlines. The best Delta Credit Cards to use with Delta might not be an actual Delta mile earning card. For example, consider the American Express® Premier Rewards Gold Card card and how it earns 3x points for purchases made directly with airlines and how the Delta cards only earn 2x miles per dollar. So if you are going for the most earnings per dollar spent, consider the American Express® Premier Rewards Gold Card card.